The Honour Board you see below celebrates those games which have achieved the rare event of an individual exceeding 700 points. We look forward to adding to this list once each new 700+ game score is attained. 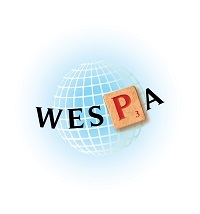 For the purposes of list eligibility, aside from score, games have only been included where the opponent's WESPA rating exceeds 1000 points and the game occurred during a WESPA rated tournament. This list has been compiled using the WESPA Ratings records; as always, please advise the webmaster of any additions, amendments or errata.